Pawnee Creek weaves a slender thread of water across a hot summerland. In this corner of the arid Colorado High Plains, the world paused one day, and history uttered a tale of curious intersections and collisions. A tale of human diversity. A tale of segregated humankind. And in Pawnee tradition… once upon a time Spider Woman helped the Skidi here; then she spread her legs on a hillside and she made Pawnee Creek. In mid-September 2018 my wife and I traced on maps the route of Pawnee Creek across northeastern Colorado, and we set forth to visit the stream. The final stretch of this waterway long ago gave way to modernity. Where it adjourns into the Flat River, it becomes a modest irrigation ditch. Just beyond a No Trespassing sign we found a herd of cattle browsing on a field of almost bare dirt. Noticing a sidelong track, we soon discovered a hidden parking area – and Dune Ridge State Wildlife Area. Hiking across a field to the shore of the Flat River, we stood among butterflies. Migrant Monarchs daydreaming in the shade. Peering down the stream I could see a scatter of trees where Pawnee Creek irrigates the shallows of the Flat River. It is apparent that Bijeau had a son with a Skidi woman. One Long expedition chronicler described the wives of the French-American traders in that city as wearing “moccasins, legings of red serge” and “Shoud [stroud] of blue cloth, a kind of short petticoat ornamented around the bottom with red or yellow binding – and a shirt of callico fringed round the neck & bosome of the same material.” In those days calico became popular among the women in Pawneeland. My great-grandfather’s grandmother was born in a Kitkahahki city sometime around 1800 and she became known as Cihiitu, Calico Woman. On June 14 the Americans departed from Kítkhahaahpakuhtu’. Over the next few days they stopped at various Pawnee campgrounds, then they arrived at a locale where they noticed two human skulls on the ground. Edwin James said that the French-American guides didn’t know what had happened there. But Captain John Bell heard that “Chayennes” had accosted a “Pawnee party” here and they had killed everyone except one survivor. Thomas Say selected a skull and packed it up and the Americans carried it back to the United States. On June 28 the Long expedition journeyed along the south side of the Flat River in the west of Pawneeland and they saw herds of wild horses, several rattlesnakes, a fox, a buffalo, a curious antelope – and that day they passed a stream “called by the Indians Bat-so-ah, or Cherry creek…” The term is not Pawnee or French. It is probably a Crow term, báachuua, meaning chokecherry. We can guess that the name was supplied by Joseph Bijeau who was “partially acquainted” with Crow. This moment arose at the edge of Pawneeland from a complicated cultural quilt. An American expedition. A French-American with French-Canadian ancestry. A Skidi family. Rumor of the wandering Crows. Several days later this party saw far mountains “upon the luminous margin of the sky” and the Americans decided they were seeing “the point designated by Pike as the Highest Peak.” Pike’s Peak. But no. This was a mountain farther north. In time that mountain became known as Long’s Peak, named after Stephen Long, the leader of the American party. The Americans continued on to Pike’s Peak. And they journeyed onward through the Great Plains. In those days a ferment of racial ideas had already given rise to the primary formal tenets of racial Indianhood – ideas invented in the academic ponderings of American and European philosophers and widely adopted and embraced among adherents to the new identity system. 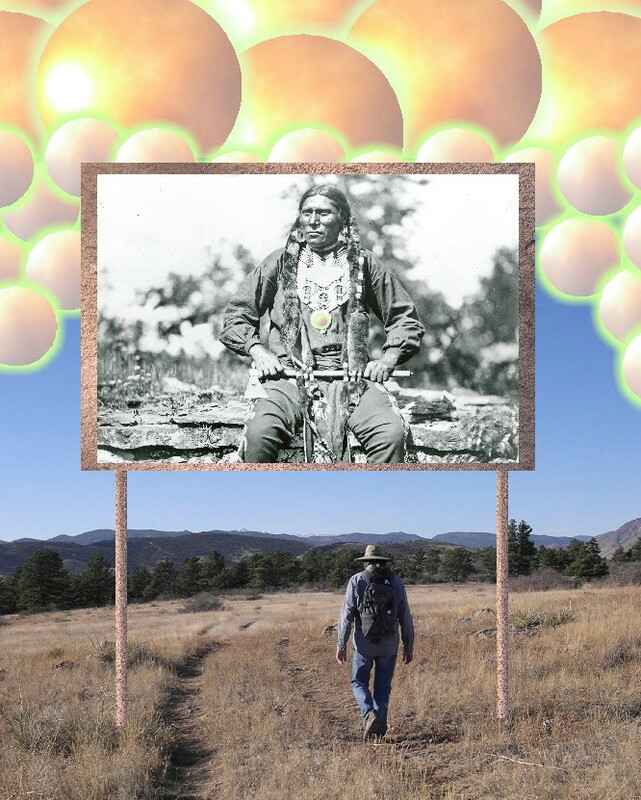 The American imagination had by then drawn on experiences with a Skidi named Pitarisaru (Man Chief) to formulate the stereotype of the noble Plains Indian warrior. Race would define the Pawnee-American relationship. Racial Indianhood would flow from those days into the future. And BAAS sponsored a special committee that drew up a new protocol for ethnology. A protocol that added momentum to the idea “that many races now existing are likely, at no distant period, to be annihilated.” This committee devised guidelines for British travelers, encouraging the production of ethnographic notes on 89 topics. The racial stereotype of the vanishing Red Indian became firmly rooted in European intellectual culture; this ethnohistory became a matter of weaker races inevitably giving way to stronger racial types. This must refer to a narrative that became embedded in Pawnee storytelling as a useful interpretive lens: the story of Pawnee Rock – a tale that overflowed onto the summits of Courthouse Rock and Pawnee Buttes. We can guess that a variety of incidents may have fed into the making of this tale, but it could also have arisen from a single incident. In the Pawnee Buttes story, after the battle, Spider Woman made a spring that flowed from the hillside – Pawnee Creek. Historian David Bernstein published a 2018 book that touched briefly on this matter. A Skidi woman named Mary Faw Faw testified during the 1950s that some Pawnees got trapped on Pawnee Rock by “several tribes” and there was a battle and four Pawnees survived. One survivor was her grandfather. Mary Ricketts Faw Faw was the daughter of Charlie Walker (born circa 1837-1841), and he was the son of Te-ha-ka-ha-lus-pe – this could have been the grandfather who took part in the events at Pawnee Rock. And we can surmise that those events happened sometime before 1831. Te-ha-ka-ha-lus-pe dwelt at Kítkhahaahpakuhtu’ when the Long expedition appeared there in 1820; he knew Joseph Bijeau; he may have even known the Pawnee whose skull ended up a topic of interest in Britain. Ancestors of the Pawnees once resided along the western edge of Pawneeland. People today associate this region with later immigrants who briefly touched down here, like the Arapaho and Cheyenne. But the ancient forgotten residents of this realm long ago helped give rise to the Kawarakis Pawnees and the Skidi. During the early 19th century this region served as a crossroads. People met here, they traded, they hunted together, they raided each other, they intermarried, they killed one another, and they picked up skulls and they wondered what it means to be human. In this story we glimpse Americans, Canadians, the French, the Pawnees, the Crows, the Cheyennes, the Sioux, and the British. Wandering at the feet of Those Distant Rocks, they manufactured the manifold details of the various stories they would pass down into the future. The truths of human diversity give this story a particular kind of depth. But in those days “diversity” had to be properly managed; everyone tumbled into the rigid channels of racial thinking and the pathologizing of diversity. And one day in mid-September 2018 I stood on the shore of the Flat River among butterflies. Pausing beside Pawnee Creek for a moment, I watched the water flow on, as if to find its hidden destiny, mingling with the Flat River, mingling with the Mysterious River, mingling with the Dark River… whispering onward to the edge of the world. When three Skidi Pawnees traveled to Sweden in the summer of 1874, they entered an interesting moment in Pawnee history. They found that people saw them not as Pawnees – and certainly not as Skidi Pawnees – but rather as Indians. They saw themselves that way, too. As Indians. But in Sweden, in those days, they encountered a whole new level of enthusiasm for race. After two of these Skidis returned to Pawneeland, they helped to lead the Pawnee people into the heart of the American racial agenda. 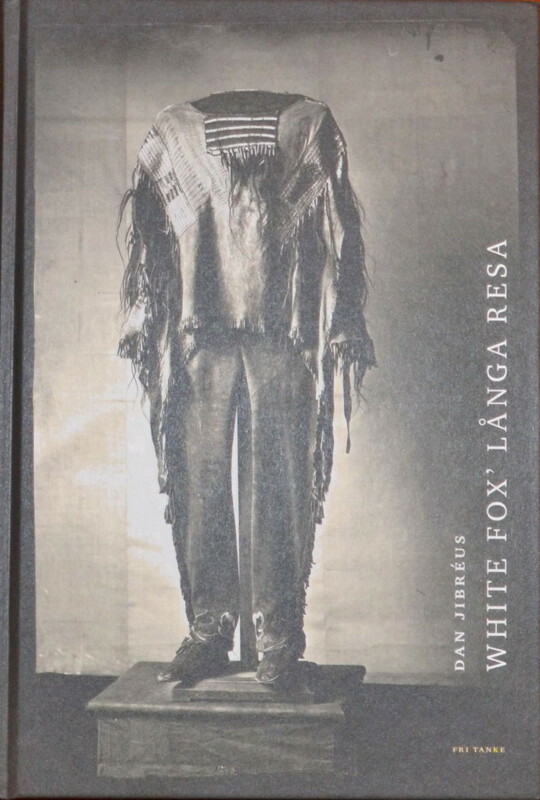 White Fox probably thought of himself as an Indian when he traveled to Sweden with his relatives White Eagle and John Box. But we can only vaguely glimpse the options of identity that shaped his social world. We know that White Fox was born about 1846. He grew up as a member of an extended Skidi family, probably Pumpkin Vine Skidi, and he was a citizen of the Pawnee Confederacy. As an adult he took up doctoring and he served in the Pawnee Scouts. And in the final days of his life he became one of the Pawnee discoverers of Sweden. We construct identity from ephemeral slippery surfaces. And negotiating the fickle meanings of identity, selfhood is completely dependent upon a sense of history. When our sense of history is complex and nuanced, we have complex and nuanced options for being and becoming. But peering back at people in the past, when we can only glimpse a few details of their lives, we necessarily must guess at what circles of identity they surrounded themselves with in life. Yet we can consult history to fill in that picture. In so doing, we tend to look for the threads that most clearly connect the past to our sense of the present. Today racial identity systems provide a primary thread that links the Pawnees to their past. Believing that today one cannot be Pawnee without also being Indian – meaning an adherent to the identity system of racial Indianhood – it is easy to suppose that this has always been true. But in the days of White Fox, this racial system was not at all what it is today, here in the second decade of the 21st century. This is due in large part to a war that the Pawnees fought during White Fox’s lifetime. Since racial identity consists of the production of bonding processes, to be Indian one must engage in bonding activities with other Indians. But in the case of White Fox and his contemporaries, they fought and killed Sioux enemies and they rejected the idea of bonding with the Sioux through race. Resisting the invasion of the Sioux empire, the Pawnees instead formed political and military bonds with the American empire. This necessarily inserted ambiguity in the meanings of racial Indianhood. It would have been consistent with Pawnee war practices of his day for White Fox to have killed and scalped enemies on the battlefields of the Pawnee homeland. It seems likely that White Fox scalped one or more enemies, given the fact that he wore a war shirt to Sweden – a shirt with pieces of human scalp attached. This means that he would have slain or wounded an enemy. With a knife he made a deep incision around the hairline down to the skull. Grasping the hair, White Fox pulled vigorously to tear the hair and flesh away from the underlying bone. The spectrum of cultural options among the Pawnees during the mid-19th century was real, just as it is real today. And in terms of racial identity, there was not just one way of being “Indian” among the Pawnees then, just as there is not merely one way of being “Indian” today. I presume that as late as the 1870s, some Pawnees did not identify as Indian, or did so very rarely in their daily lives. Today, however, to be Pawnee one must also be an Indian. When White Fox, White Eagle, and John Box traveled to Sweden in 1874, they journeyed deep into the world of race. There in that alien realm they were not Skidi; nor were they Pawnee. In Sweden they were “Indianer” – the Swedish term for Indian. Race in Europe in those days had become a powerful shaper of society, a weighty matter of much discussion in the academies and streets of Europe. In the streets and intellectual forums of Pawneeland, race had less authority. Racial Indianhood was merely an optional identity – something that happened in specific situations, rather than a matter of daily life. Among the ideas that gave shape to race in European and American lifeways, by the time the Pawnees discovered Sweden, a thriving debate had to do with the extent to which races and nations could be conflated, and whether language groupings could be described in terms of race. It became popular, for example, to compare and contrast the idea of a “Nordic” race versus the idea of a “Celtic” race. Academicians encouraged one another to inquire into these matters through scientific means. So when White Fox took sick and died in Sweden in January 1875, Swedish authorities responded by turning over his remains to the Karolinska Institute in Stockholm, their leading scientific institution for anatomical study. In the decades that followed the death of White Fox the Indianer, the Pawnees gave up the grisly custom of scalping enemies. But after race suggested to the Swedes that they ought to skin White Fox and remake him in the image of race – a particularly grisly image – race decided that it didn’t want to stop there. White Eagle and John Box returned to Pawneeland in 1875 without White Fox. They joined the last group of Pawnees to leave Nebraska for Oklahoma. And in that realm, in a new homeland between the Long River and the Salt River, the Pawnees slowly wandered into a strange moment in Pawnee history. They found themselves listening to what race said to them, and they liked what they heard. In Oklahoma they heard again and again the sayings of race. Race slowly remade all the Pawnee people. And long before I was born, the Pawnees began to say that they had always been on this journey. Now they believed they had always said the racial things that everyone said to each other in Oklahoma. This meant something very interesting. It meant they were not just Pawnees anymore. The Pawnees had all become Pawnee Indians. When we Pawnees ponder the origin stories that shape life today, what do we ponder? To understand the contemporary Pawnee world, I think we should look at the cultural narratives that actually empower and explain the daily circumstances that the Pawnee people value – the unifying narratives of our time. It is my contention that the pre-American ideological structures that long ago shaped Pawnee life have gotten displaced by the origin stories of racial Indianhood, Americanization, Christianity, and secular science. The narratives that advance these cultural systems are the origin stories that matter today in Pawneeland. The Pawnees today are Americans – many are very patriotic Americans. A likely majority of Pawnees today are Christian. A likely majority accept the fundamental tenets of science. And as far as I know, every Pawnee except one identifies as a racial Indian. Americanization and race most broadly define Pawnee identity today because these entwined ideas are so pervasive as a condition of both social and personal identity in Pawneeland. For the Pawnee people, these are new ideas about selfhood and the world. The roots are long for some of these changes, but they eventually became established in Pawneeland and together formulated the basic notions that Pawnees today accept about the cosmos. More traditional Pawnee ideas didn’t entirely vanish; some aspects of traditional ideology fused with the new. And some traditional ideas continue to shape selfhood for many Pawnees. But the basic foundations of traditional Pawnee identity systems have slowly eroded and have been toppling for generations into a future that no Pawnee living in 1750 could ever imagine. In just a few short generations from that date, a massive remaking of Pawnee culture occurred. The door for these changes opened with the coming of race into Pawneeland. This was the first ideological import from Europe that the Pawnees embraced. The idea of being “Indian” was not forced on the Pawnees; the Pawnees enthusiastically embraced race. The origin stories of race became so powerfully integrated into Pawnee lifeways that Pawnees today treat racial Indianhood as an artifact of selfhood born in time immemorial. The integration of Pawnee political structures into the American system occurred through the treaty-making period of the 1800s. Trade and military alliance concerns brought Pawnee leaders to accept entry into the American empire. Having already embraced the tenets of race, the Pawnee Confederacy found it perfectly acceptable to become a federally recognized Indian tribe in the pro-race American system of governance. The third sweeping cultural change came with Christianity during the late 1800s. It is arguable that some younger Pawnees of that time had little choice about accepting Christianity, but all Pawnee Christians today are Christian by choice. The origin stories of science arose in Pawneeland as Pawnees attended schools and colleges during the 20th century. But Pawnees today – like all Americans – have a choice about how and when to embrace the tenets of modern science. Pawnee identity today is highly contingent upon cultural systems that are not by any stretch of the imagination “Pawnee” in nature. But to what degree has this observation always been true of “Pawnee” culture? Pawneeland is a frame of mind. It is an inherently multidimensional frame of mind that has taken shape through the visible and invisible processes of history, and there’s nothing simple about it. It is arguable that other cultural systems have just as much importance to Pawnee life as the ones I have discussed here. But these four systems of culture nevertheless sit at the center of the Pawnee world today. I do not regard the analysis above as truly debatable in any useful substantive way. In my view, these four circumstances do shape the Pawnee world. But the act of imagining Pawnee selfhood ought to also permit the coexistence of both complexity and ambiguity. The complexity is self-evident, but discerning relevant ambiguities – and what they mean – can be a very personal enterprise. With both complexity and ambiguity helping to shape the story of Pawneeland, we have access to diverse ways of being ourselves. In the end, if we wish to know ourselves, we must look for the actual paths of selfhood that unfold beneath our feet. This will help each of us to see better where we might wish to go.